It’s spring! 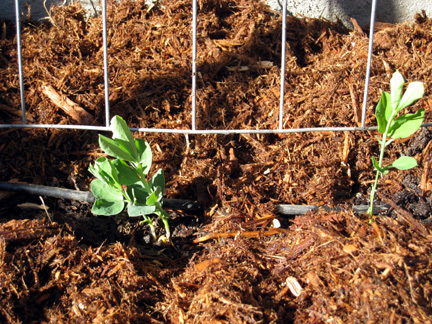 Today I planted sweetpeas. 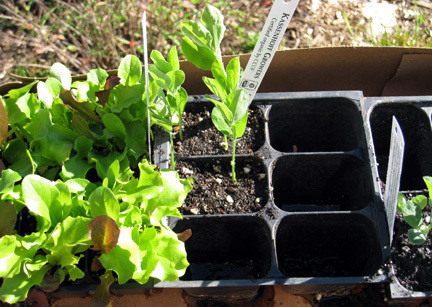 Next, the lovely lettuces. Plus I have to figure out where to put the rest of the sweetpeas. Of course there’s always more than can fit in the designated sweetpea location. Of course they would fit if I could ever restrain myself to just one 6-pack. Of course I am totally incapable of such restraint—how could I choose between Black Knight & Purple Streamers, especially when they would look so excellent together?